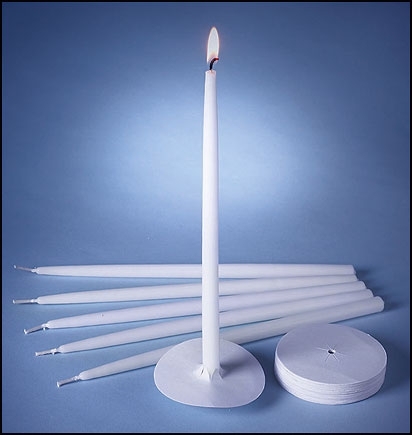 These 10" devotional candles are wonderful disposable candles. They burn for 1-1/2 to 2 hours which is perfect for candlelight services. 50 paper wax catchers are included in every box. Candles are appropriate for Easter, Advent, Christmas Eve, in addition to seasonal candlelight services. 50 candles per box.